Niagara Falls is absolutely beautiful - go on the ship if you can, plus it reminds you of jim and pam!! High Park is gorgeous and it even has a little zoo!! if you want boba, go to this place called the alley. Get the royal no. 9 milk tea. trust. I'm leaving this trip happy and feeling like I've grown at least a tad bit as an adult. I'm also leaving inspired to recreate momofuku milk bar recipes, something you'll hopefully see on this website at some point. 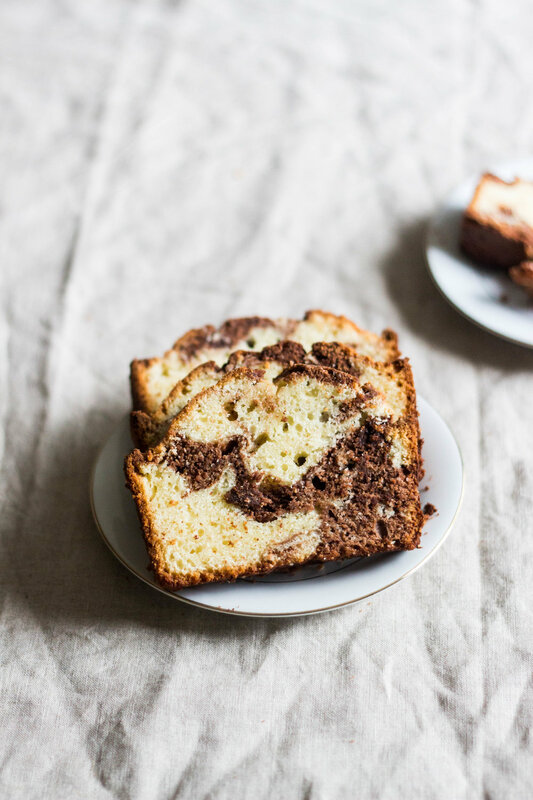 but lucky you, you'll find something today completely unrelated to all things Canada- marble loaf cake!! 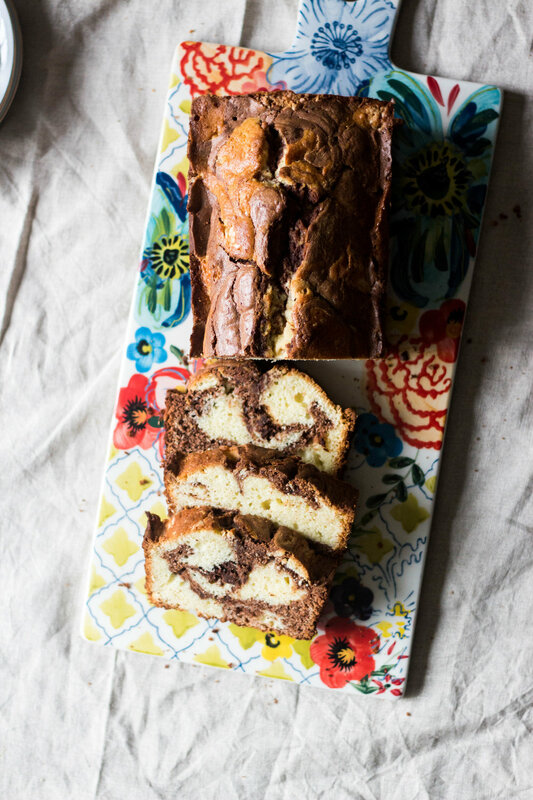 it's a chocolate vanilla marble loaf cake, especially perfect if you can't decide what flavor cake to make. 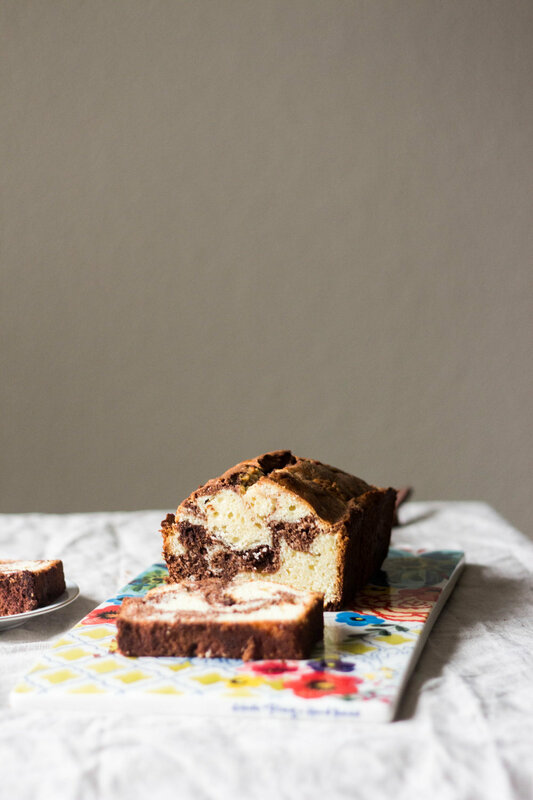 the recipe below makes one cake loaf that slices beautifully. it's on the denser side but still moist and not too sweet, perfect to pair for coffee/tea or as breakfast or a snack cake. 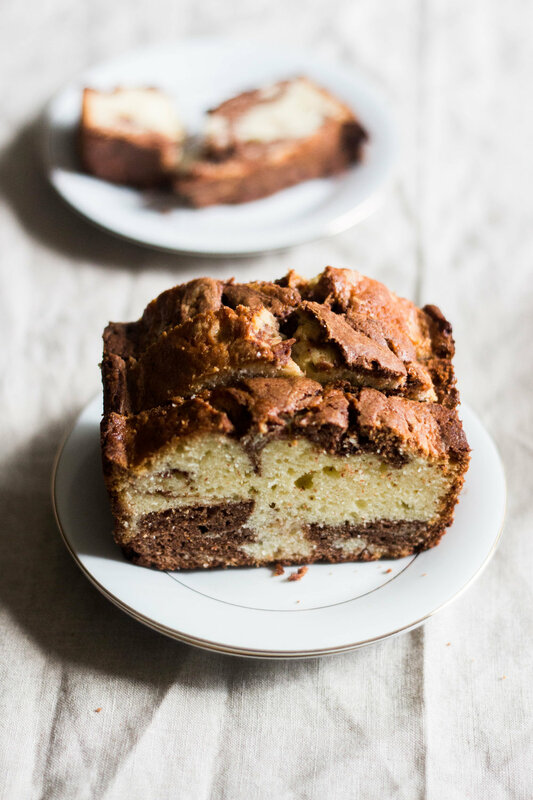 baker's notes: Per the website where I found this recipe, if you prefer to use cocoa powder instead of chocolate, use ¼ cup cocoa powder mixed with 2 tablespoons hot water. Preheat oven to 350 F. Butter a 9×5-inch loaf pan and line with parchment paper. In a large bowl or a mixer bowl fitted with the paddle attachment, beat together the butter and sugar for 2-3 minutes, until light and fluffy. Beat in eggs, one at a time, until combined, scraping down the bowl after each addition. Stir in the vanilla extract. Slowly add in the flour mixture and milk, in alternating additions, starting and ending with the flour. Mix until just combined; don't over mix. divide the batter in half, and pour one half into a separate small bowl. fold in the melted chocolate into one of the two mixtures. dollop the vanilla and chocolate batters alternately into the pan. i like dolloping one batter in random spots at the bottom of the pan, then filling some of the spots with the other batter, next to and on top of each other. I continue until i use all the batter. 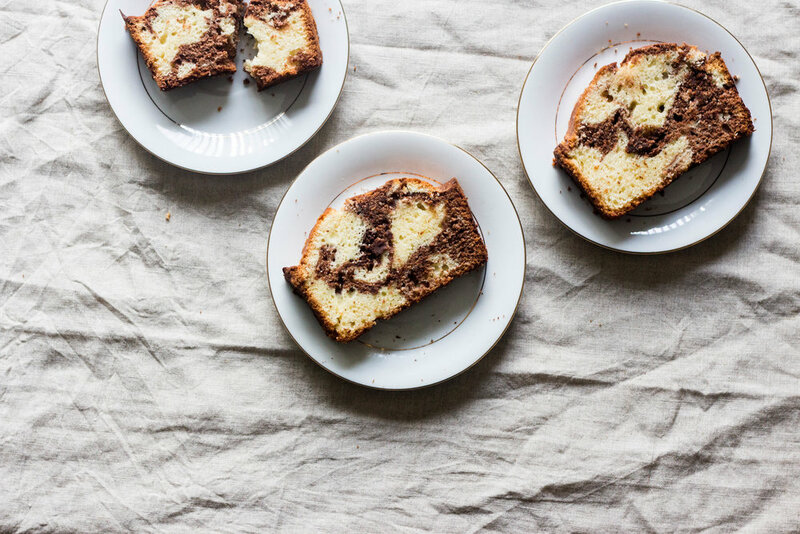 insert a knife, such as a long butter knife or steak knife, all the way down into the loaf pan, and swirl the batter. I like moving the knife in figure 8 swirls of different sizes. 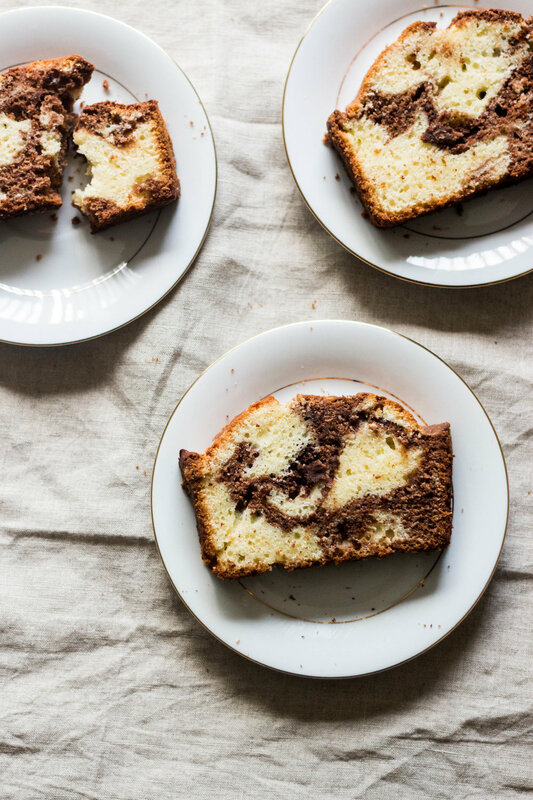 the key to this is to not mix to the point where the batter turns chocolaty. don't over-swirl!! bake the cake for 45-55 minutes, or until a toothpick inserted into the center of the cake comes out clean. let the cake cool slightly before slicing and serving. enjoy!! !